Nothing to do during these hot summer days. So I uploaded some old pictures. 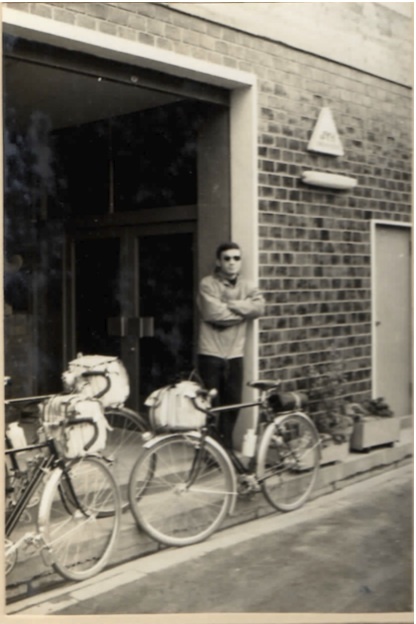 front of youth hostel in Shikoku. the first day of the ten day tour. huge front bag and Rinko bag on rear rack. 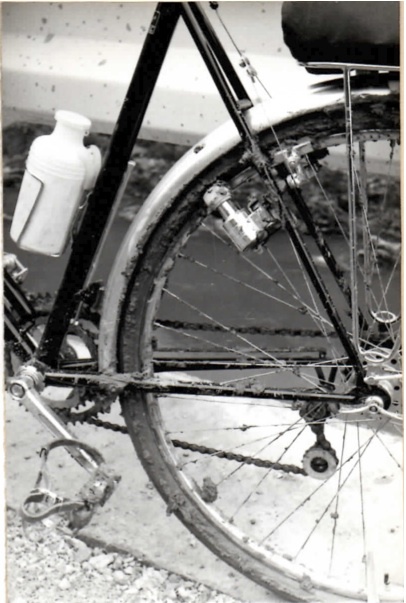 After rain, sticky mud between tire and fender. Impossible to ride. 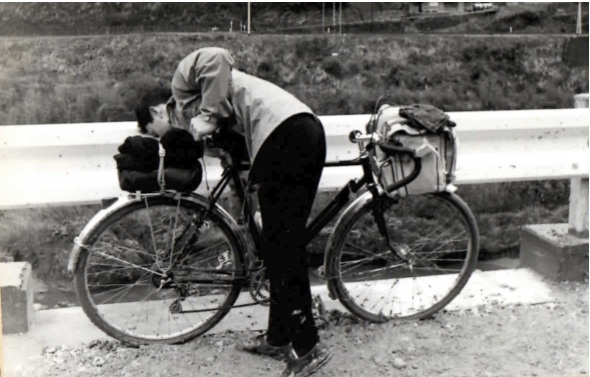 Not much pavement at that time in Japan.